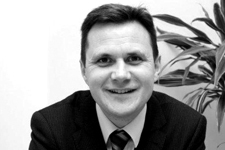 Matthew is a Senior Consultant and Manager and has many years experience as a highly successful Senior Legal Recruitment Consultant, working nationally with a wide range of leading law firms. He now oversees Austen Lloyd's Midlands and Northern operation and teams and has developed a very wide range of highly influential contacts that are pivotal in the recruitment process. Matthew has a close and trusting relationship with firms from High Street and Regional Law firms through to the Legal 100, national and International players and in-house organizations and he benefits from a wide range of influential contacts. Matthew himself studied Law at University in the Midlands and was a practicing Lawyer for over 10 Years in ranked Legal 500+ and Chambers recognised law firms, before joining the legal recruitment sector. Because of his background, Matthew can directly relate to the needs of both the firms and candidates that he works with.